Hundreds of South Australian prison guards have walked off the job and descended on Parliament House demanding the government reverse its decision to privatise the Adelaide Remand Centre. 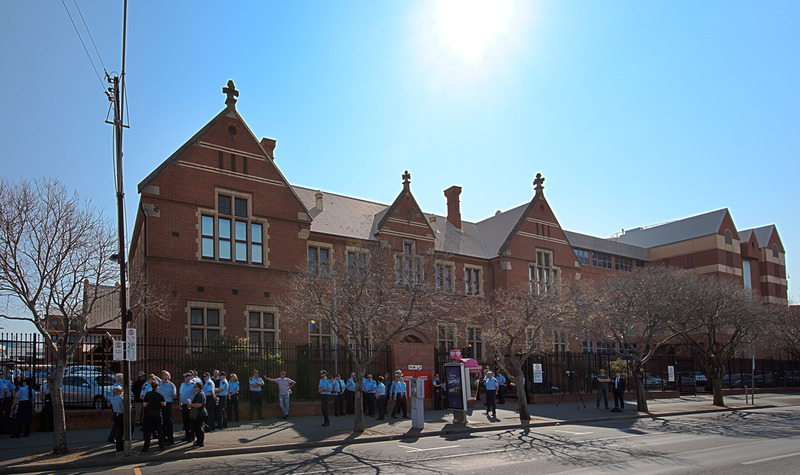 The Public Service Association organised the rally after last week’s SA budget revealed plans to privatise management of the centre and cut more jobs across the public sector. The workers demanded Premier Steven Marshall and Treasurer Rob Lucas come out of their offices and address the crowd. “Marshall, come off it. Our public service is not for profit,” they chanted. PSA president Michael Griffiths said workers had been betrayed by the new government. “Steven Marshall came to the PSA in February and told us… that his government would not, would not have any privatisation agenda,” he told the crowd. “Half a year later and here we are, the Adelaide Remand Centre to be privatised and threats to SA Pathology and medical imaging. One of the workers, who did not wish to be named, said employees were united in their opposition to the move. Lucas said the government had never promised the centre would not be privatised. “I wrote a letter… that said that the then-Labor government had on occasions used outsourcing and commercialising where it was in the public interest to do so, and we reserved absolutely the right to do exactly the same,” he told reporters. He said it was unfortunate that some court hearings involving defendants in custody had been cancelled because of the action. “The early advice I’ve had is that there are a small number of cases that have had to be deferred. The SA Employment Tribunal over the weekend ordered PSA members to maintain minimum staff levels in the prisons during the protest. The union initially had refused to guarantee minimum staffing in the prisons, a situation the government said put the safety of prisoners and the wider community at risk. Lucas described the tribunal’s decision as a victory for common sense.